It doesn't have to be similar just what you guys would consider a great witch related movie. Last edited by batnbreakfast; 06-02-2016 at 12:46 AM. The Witch (2016) is actually the closest I've seen to The Hellboy witch sensibility. Halloween is almost here . . . thought I might as well bump this thread up. Well, I am just beginning to watch House of the Witch, a 2017 made for TV movie. Not sure how good it is, but I can repost after it is over to let you know. A boy just got sucked into the house kicking and screaming. So, a good start! Penny Dreadful has some interesting witch storylines throughout the show. Matter of fact, I think if you're into Mignola's work, then the show Penny Dreadful should be enjoyable. I believe Mignola said he's a fan of Penny Dreadful. He's also been posting his favorite horror/halloween movies over on twitter recently. He posted The Witch (2016) which is absolutely great! The wicked witch from The Wizard of Oz is my all-time favorite cinema witch. But, Häxan (1922) is a must see for fans of the genre. This cannot be repeated enough times. Witchcraft plays into the film Suspiria. Witchcraft also plays into the film The Lords Of Salem. It is a surprisingly solid low key horror film. By the way, how scary was . 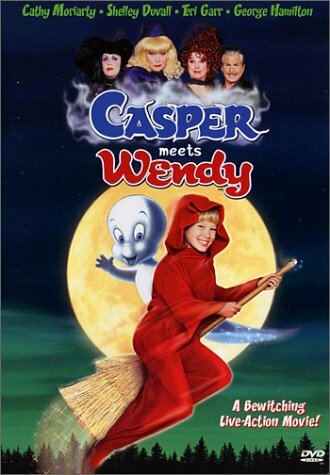 . .
with young Hilary Duff as Wendy? The original Wicker Man has some occult and almost witch-like moments, although possibly not what people are looking for... But what an interesting movie! They're kids films, but The Witches and Hocus Pocus were pretty good I thought, and Scooby Doo and the Witch's Ghost is probably the best of the Scooby Doo movies. a black and white flick from Estonia and well worth my time. More eery and creepy than horror. Almost felt like The Witch (2016) by way of Tim Burton and in b&w.